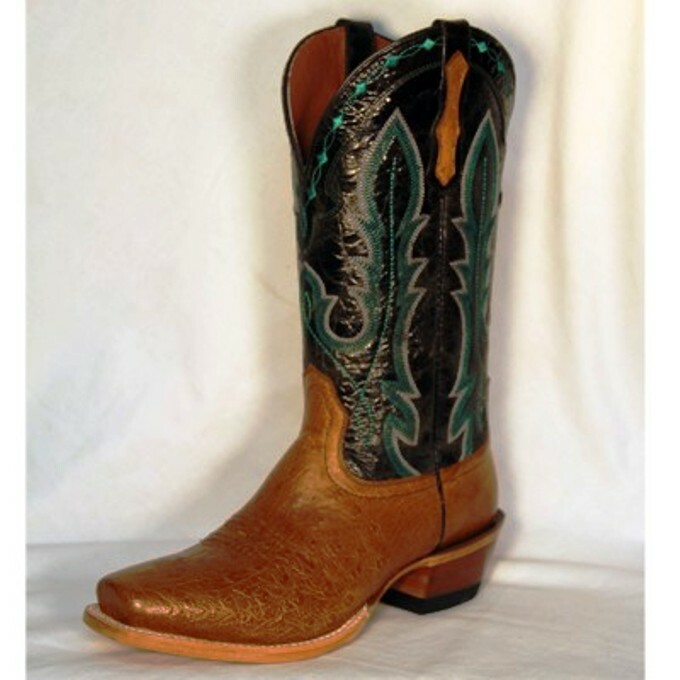 Be the ultimate Ranchero in this Ariat Antique Saddle Smooth Quill Ostrich and black Cowboy Boot. This men's boot features an antique saddle smooth quill ostrich foot. The black shaft is accented with a turquoise embroidered pattern and black piping. Double stitch welt and leather sole. Square toe; 1 ¼ inch heel; 13 inch shaft; leather outsole.